(NEW) Mojave Green X Southern Pacific Hybrid Rattlesnake (Nero / Hemo Toxic Venom). The Southern Pacific Rattlesnake (venomous). Behavior: While this snake is extreamly dangerous, it is also secretive and quiet. Many times when encountered. It will lay silently in hopes you will never see it and move along. This snake wants no trouble, but will strike with great accuracy if touched. Dont muck with this snake if encountered and call a professional to remove it! This snake can bite and envenomate even once killed! The San Diego Gophersnake (Non Venomous). Behavior: This snake is the biggest snake in So. Cal. It can reach up to six feet in length. These guys are normally very friendly posing no harm to you or your family. They are a main controller of the rodent population, spending much of their lives in rodent holes. Regularly they are mistaken for rattlesnakes since they are the same color. Gopher snakes will flatten their heads, hiss loudly, and shake their tails when threatened! 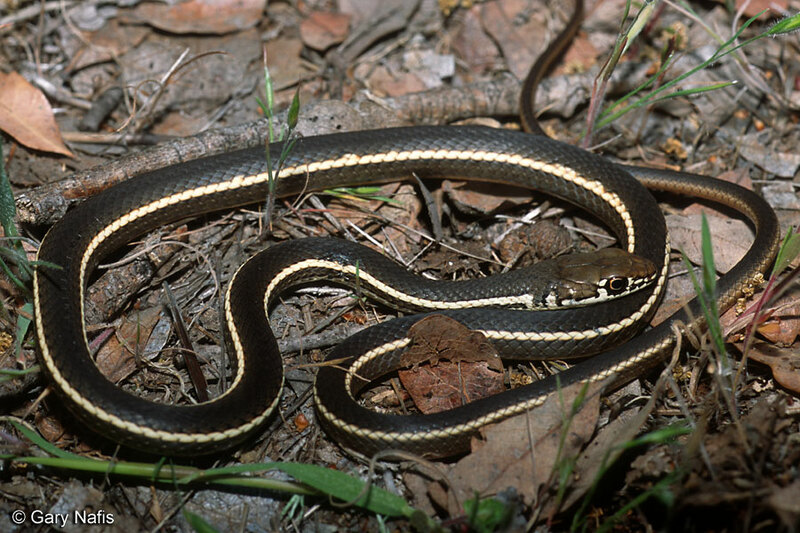 The Two Lined Racer (Non Venomous). Behavior: Very fast to get out of harms way. 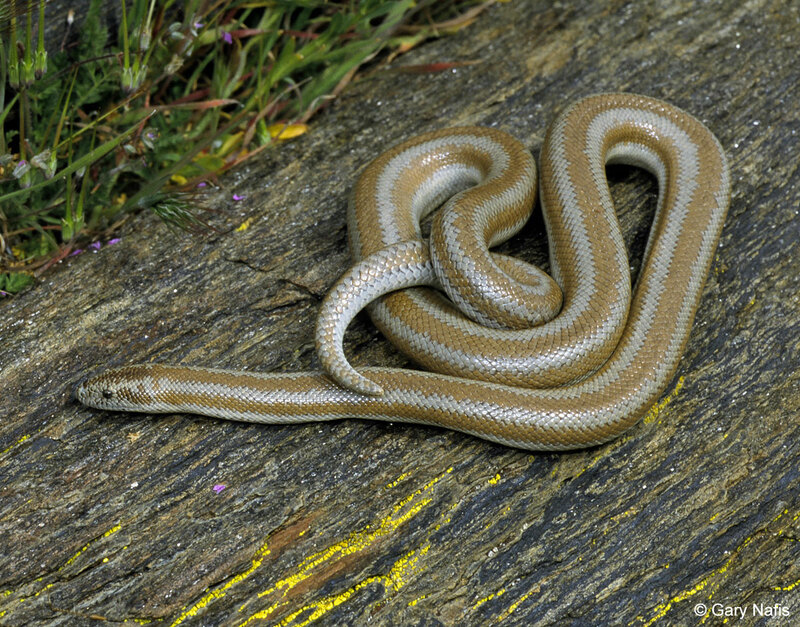 This snake is illusive when in shrubs or grass, and will not hesitate to come into homes on hot days to escape the heat. If able to be cought, they are very aggressive and will bite and urinate at first touch. The California Kingsnake (Non Venomous). Behavior: These guys are very carefree, and go about their business of hunting. Typical foods are rattlesnakes and other reptiles. Kingsnakes are not known as biters and are common in the pet trade. If you should see one of these pritty snakes, please allow them to continue doing whatever they are doing. As long as you have these in your yard. The rattlesnakes will be on the run to get away! The Ringneck Snake (Non Venomous). Behavior: Small wormlike snakes that feed on slugs, snails and worms. Usually found in ivy. This cool little snake is not dangerous to people even though it has a bright red stomach! The Coachwhip Snake (Non Venomous). Behavior: This snake is a jerk! Highly aggressive and will fight for its territory when challenged. While not poisonous, this snake will bite as soon as it is grabbed. Typically the snake will turn its head upward as a threat before it will fight. We seem to see these more in Acton and the Inland Empire. The following local snakes are linked to different sites which will give you many photographs of what the species snake you clicked on looks like. Most of the following links and pictures are from the Western Ecological Research Center. We just thought the could provide some valuable information.